Charge up your electronic devices on the trails, all while illuminating your tent’s interior. Black Diamond offers such a convenient, two-in-one solution with this lantern. 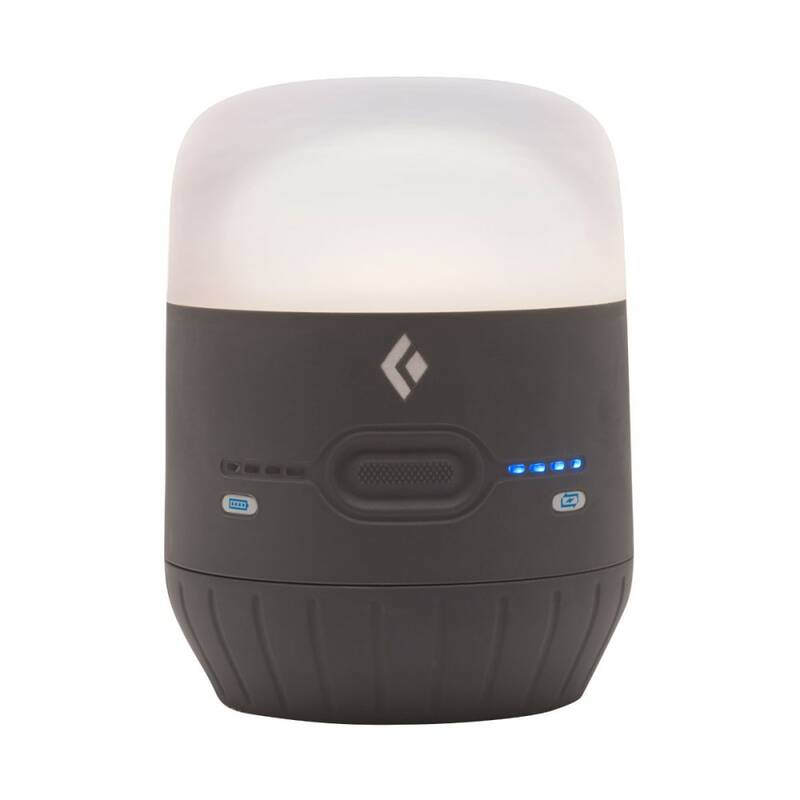 As a QuadPower LED delivers 250 lumens of light, it includes a USB port on the side for keeping your phone, tablet, and other handheld gadgets ready for use later. Weight with batteries: 15.1 oz. Max Burn Time: 50 hrs.